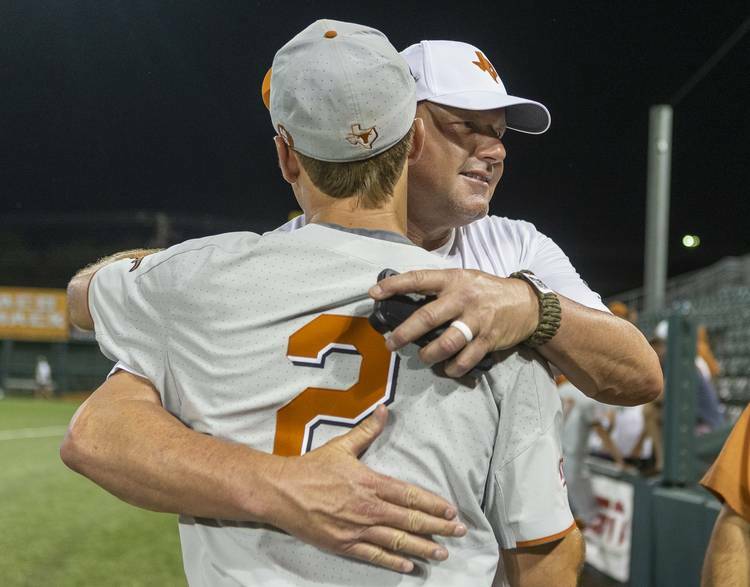 This time, the annual showdown between the Texas baseball program’s past and present will be a family affair. Three members of the Clemens family will participate in UT’s annual alumni game on Feb. 2. Seven-time Cy Young Award winner and 1983 NCAA champion Roger Clemens is set to pitch the first inning for an alumni team that will also start first baseman Kacy Clemens and second baseman Kody Clemens. Kacy and Kody Clemens, who were UT’s top hitters the past two seasons, are currently in the farm systems belonging to the Toronto Blue Jays and Detroit Tigers. Before joining the Tigers as a third-round pick, Kody Clemens helped lead Texas to the College World Series in 2018. Next weekend, he will reunite in the alumni team’s dugouts with ex-teammates Nolan Kingham, Andy McGuire, Josh Sawyer, Chase Shugart and Parker Joe Robinson. Kingham (Atlanta), McGuire (Toronto), Sawyer (Chicago Cubs) and Shugart (Boston) were all selected in the 2018 MLB Draft. Robinson signed with the Los Angeles Angels as a free agent. Not all of the alumni will participate in the scrimmage at UFCU Disch-Falk Field. Those alumni who do take the field will play for four innings before the nine-inning scrimmage turns into an intrasquad battle. The alumni will partake in a batting practice at noon. A postgame autograph session will also be held with members of UT’s 2019 team. The first pitch of the alumni game is set for 1 p.m. The Longhorn Network will broadcast the event.